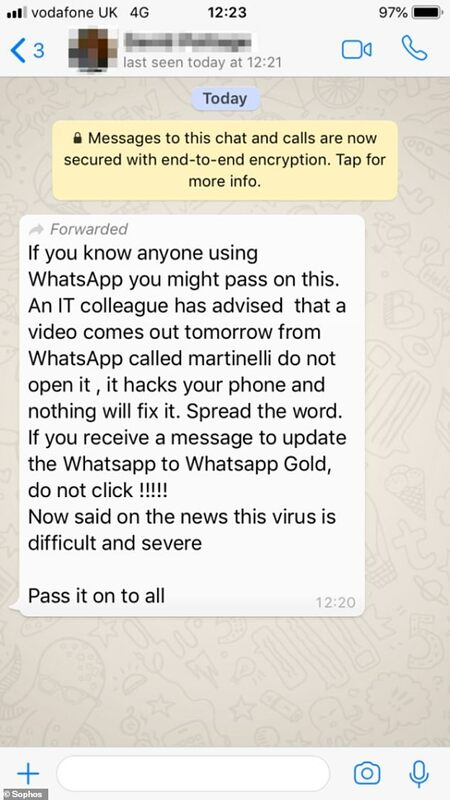 Home Technology	Whatsapp Gold Virus has back! Whatsapp hack has back. The fraudulent scheme that surfaced in 2016 has again tried to appear. A kind of message that holds information regarding that scam. It says not to upgrade Whatsapp to Whatsapp Gold which is itself a scam. Like as every hacking scheme the user is then further proceeded to follow a link and where the ditch is. By opening the link the privacy is affected, the sensitive information can be easily stolen from there. So, the user ended up only collecting malwares. These kind of hack often heads up once in a while in various platforms and apps. While the genius approach is not to spread it forward and aware others regarding this. While you need to consider this hoax seriously, this time. The link attached with it can land user in a quite problematic situation where further malicious websites can be opened and this is a threat to your privacy. This martinelli video is considered as nothing but a fake strategy. And the chaos regrading Whatsapp gold is that it is a modified form of Whatsapp. One that is quite different from Original Whatsapp with advanced features. So, it is better to be aware and inform others too.